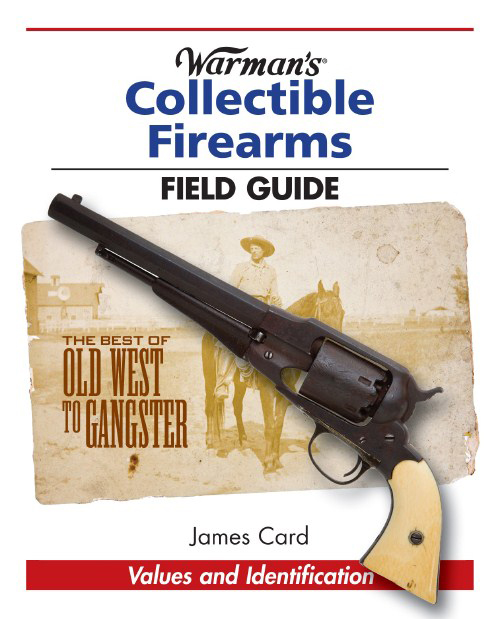 Featuring firearms dating back to the Old West and as recent as the mid-20th century, Warman's Collectible Firearms Field Guide presents a colorful, insightful and fascinating survey of the much-in-demand antique gun. Whether for the sheer pleasure of collecting or with an eye on investing, vintage firearms is one of the fastest growing areas of interest in the collectibles field with record sales and more collections becoming available via auction. Featuring hand-picked items from an array of auction houses featuring some of the best firearms to come to market, Warman's Collectible Firearms Field Guide is a wonderful resource to a fast-evolving hobby.